Tearing, burning, smashing and cutting are typically thought of as violent methods of destruction, yet artists have been using them in their creative practice since the early twentieth century. 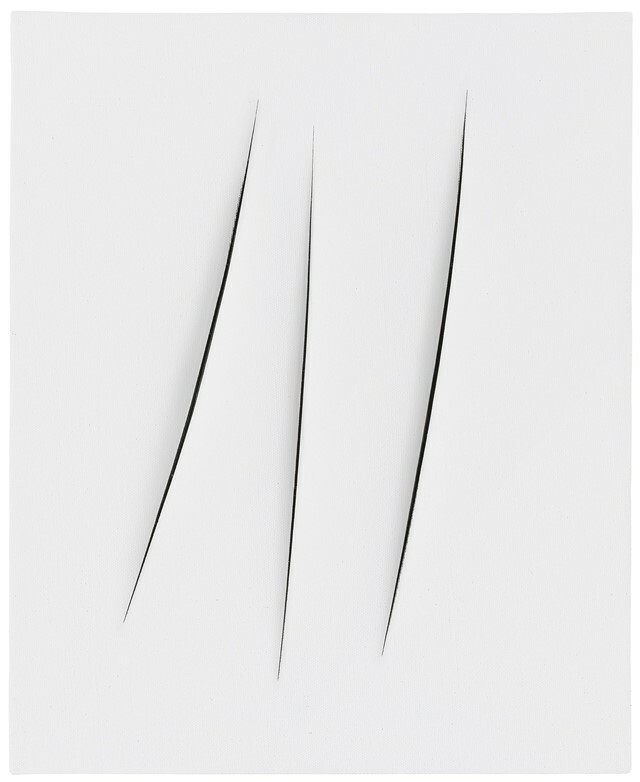 An exhibition at Skarstedt Gallery examines the processes of Burning, Cutting, Nailing and the paradox of destruction and creation in a selection of monochromatic works by Yves Klein, Lucio Fontana and Günther Uecker, revealing how these aggressive modes of production can yield highly aesthetic, visually compelling results. Klein, Fontana and Uecker, all living during WWII and working in a post-war period, employed violent and destructive processes for their creative production with contrasting results. They created an aesthetic from destruction using a performative and gestural approach that presented an interesting dichotomy between process versus consequence and through their separate, distinct practises they examined the paradox between the material and the immaterial. In 1955 at the age of 27 French artist Yves Klein wrote in his diary, “I think I am a genius.” Known for his unorthodox methods of creation, Klein was experimenting with the elements of nature and their involvement in his practise. In 1959 he wrote, "Fire for me is the future without forgetting the past” and from 1961 he began making the Fire Paintings, applying a blow torch to chemically prepared surfaces, gaining access to one of France’s major destructive testing laboratories which included gas powered flame propagation equipment. Klein had already been using the human body in his paintings as a “living brush” where he would drag a naked women covered in paint across a canvas, but he pushed the technique further when he started covering women’s bodies in flame retardant and transferring the substance from the bodies to the surface of the art. The impressions left by the body would hinder the flames leaving an area untouched by fire. 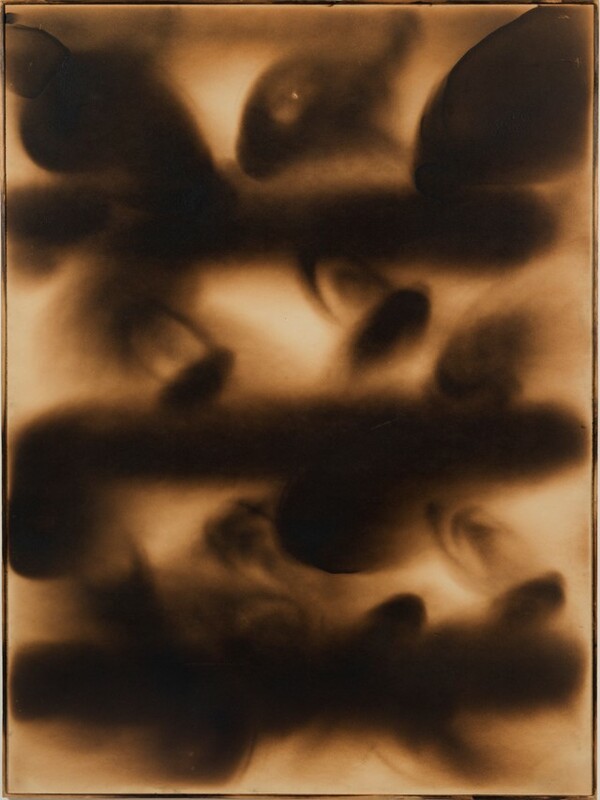 Klein’s fire paintings, with their muted palette of blacks and browns, are surprisingly tranquil, giving the impression of flames tenderly licking the surface of the artwork. 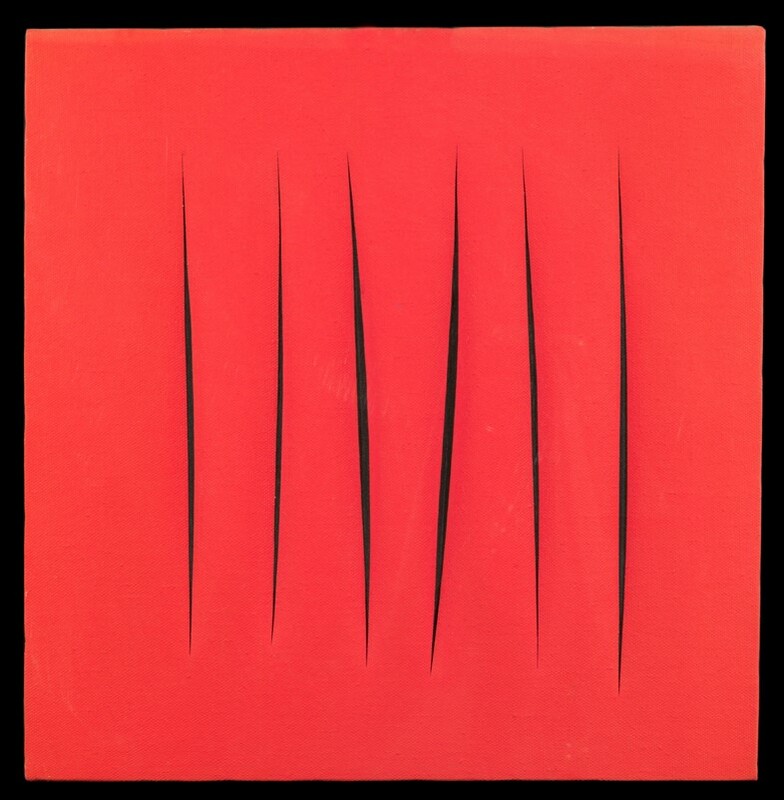 Known as the founder of the Spacialism movement, Italian painter and sculptor Lucio Fontana defined a whole aesthetic around the act of cutting. Fontana began in 1948 with the Buchi (holes) works and these physical interventions into the surface of the canvas continued with the Tagli (cuts) works in 1958, where he would cut or puncture the surface of the unprimed canvas. The style of the cuts evolved from small incisions into large, more violent slashes and he would often back the canvases with black gauze which gave the appearance of a void behind. Fontana wrote, "Art dies but is saved by gesture" and his tagli works are both gestural and violent, revealing the action of their creation as well the resulting slash. He began to make lacerations in other surfaces, such as copper and aluminium, but the cuts onto canvas are wound-like and therefore more visceral and provocative. Born in East Germany in 1930 Günther Uecker first experienced abstract art when he crossed over to West Berlin in 1951 as part of an international youth festival, which inspired him to enrol at the Arts Academy at Dusseldorf in 1955. Uecker began working with nails in 1957 describing them as “structural elements.” From the 1960s Uecker was hammering nails into household objects and furniture which evolved into a body of work where he combined his earlier interest and experiments in optical phenomena with the act of nailing. 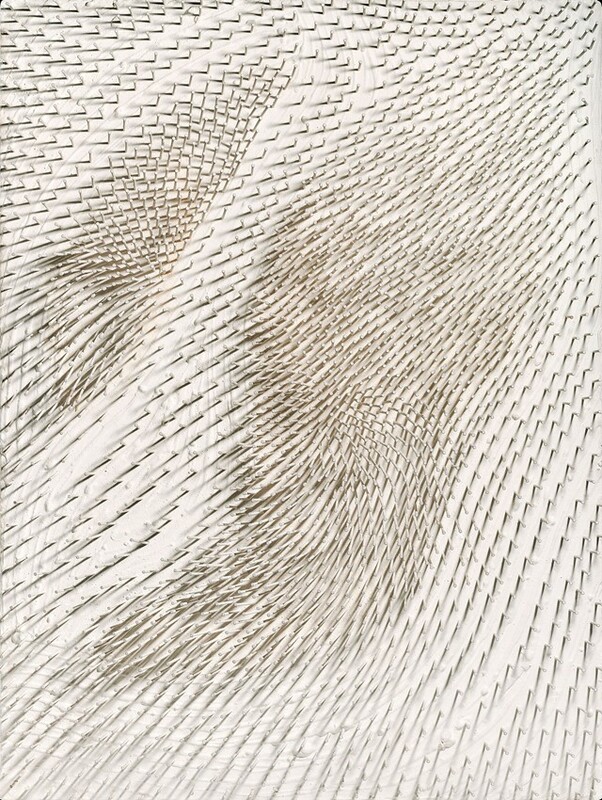 Uecker would fix white nails onto white canvases in fluid patterns of undulating waves, evoking the paradoxical feelings of pleasure and pain, calm and chaos. These works are at once sculptural and painterly playing with notions around space, dimension and perspective. Uecker’s New York Dancer IV (1965), one of a number of kinetic Dancer sculptures, is a tall phallic sculpture of cloth where the nails hammered into the cloth point outwards away from the sculpture and towards the viewer. It is a violent work that brims with energy, destruction and the very real possibility of pain and injury. Burning, Cutting, Nailing is at Skarstedt Gallery until July 31.